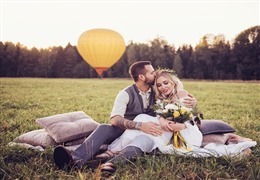 Late spring into the summer months kicks off official “wedding season” when a majority of people love to plan their big romantic wedding days. The warm summer months mean more comfort for you and your guests if you want an outdoor wedding and fun traditions like beach weddings and intimate backyard celebrations. Get inspired by summer favorites like ice cream, sunshine, sundresses, and cocktails. You can incorporate summer favorites into your wedding with barbecue foods, themed cocktails, and flip flops as party favors to your beach wedding guests. Summer weddings are famous for their bright colors, classic white reception details, and more casual themes like nautical, fiesta, or patriotic. A great season for flowers of all kinds and longer daylight hours, you just can’t beat the feeling of a summer wedding. 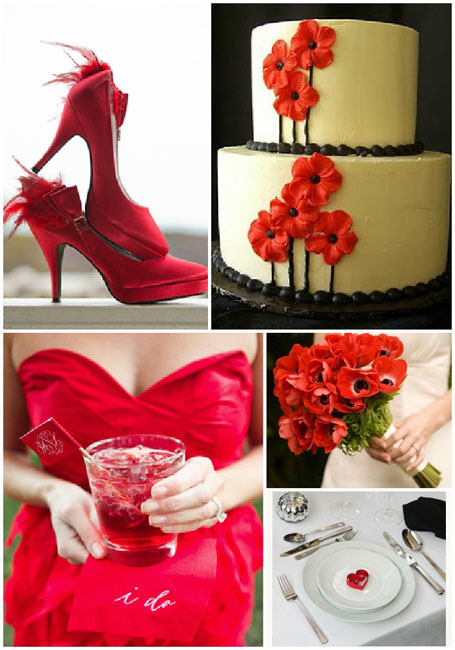 Are you planning a summer wedding but can’t decide what color palette to go with? 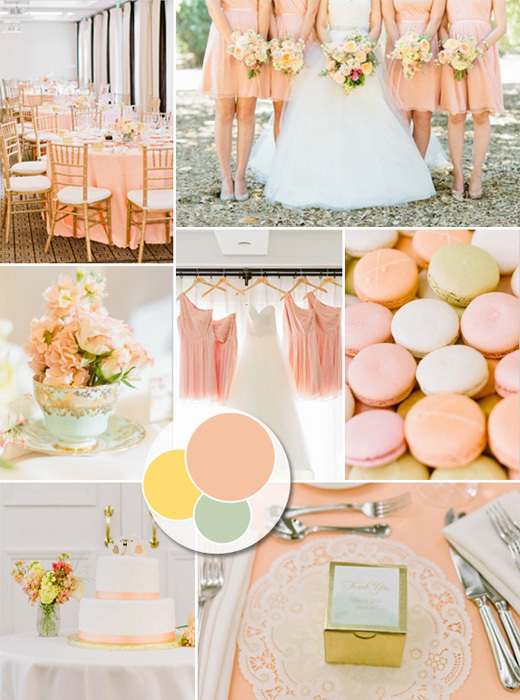 We have 10 great summer wedding color palette ideas for every type of bride! A vibrant pink and calming blue color combination are perfect for summer. These bright complementary colors create a beautiful look for wedding table decorations, especially with gold accents for the table settings and cake topper. Pick out lovely teal bridesmaid dresses paired with fuchsia and light pink flowers for the bouquets. For a classic summer touch, go with an all white layered cake decorated with fuchsia flowers. Do you want to plan a summer wedding but bright blues and flashy pinks aren't your style? Try poppy red with another accenting color like marigold. These colors complement beautifully with greenery for the bouquets and table centerpieces. 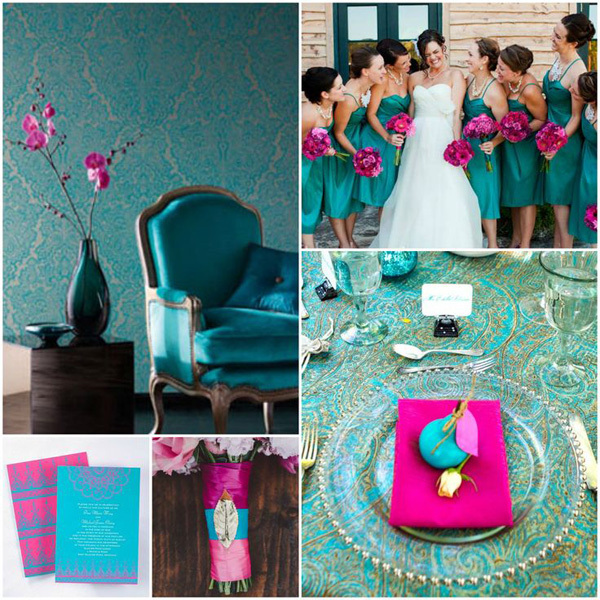 You could also use these colors for a fiesta themed wedding! Make it an outdoor backyard wedding affair with paper lanterns, sombreros for a fun photo booth and wedding favor idea for your guests, and lively Mexican music for dancing the night away at your wedding reception. If bright summer blues don't suit you, try building your color palette around ice blue. Ice blue pairs perfectly with white and light pink for accents and decorating with flowers. Decorate your tables and the wedding aisle with natural greenery and use all white tables and chairs for a perfect summer wedding staple. 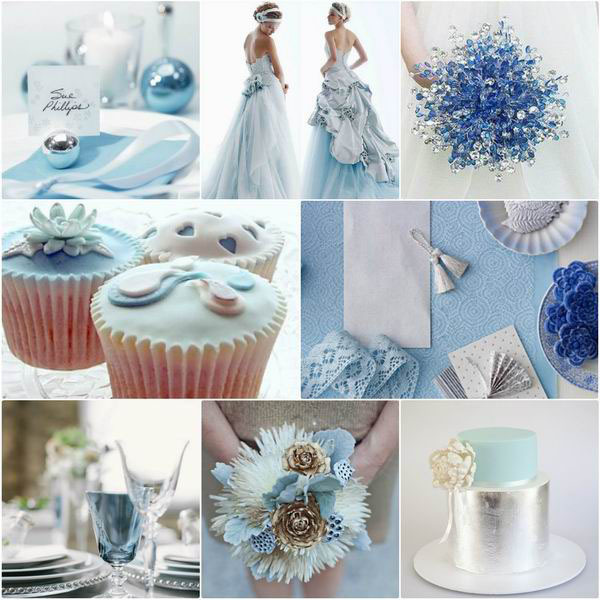 Then decorate table tops with ice blue table runners and dress the bridesmaids in stunning ice blue dresses. Just like a watermelon, these colors are perfect for summer! Deck out your wedding venue and reception hall with tons of bright pink peonies, or make bright pink paper flowers if you're looking for a more budget-friendly option. Use graphic prints mixing these two colors together for the invitations, table numbers, etc. And finally, finish off your color scheme with a stunning simple naked cake to offset your colorful ceremony. 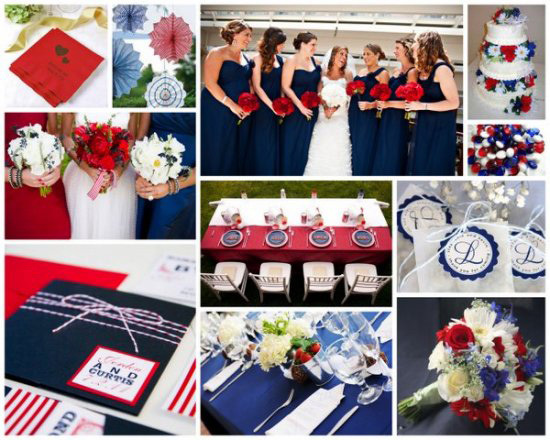 For the patriotic bride and groom who want to take advantage of summer’s long holiday weekends, red, white, and blue themes are perfect! 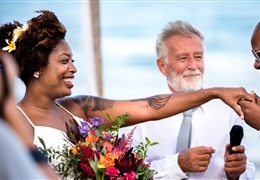 Plan your wedding for Memorial Day weekend, 4th of July, or Labor Day weekend for plenty of date options when you know your guests will have a little extra time off work. Make it a fun summer wedding with outdoor barbecue-themed food like fruit kebabs, sliders, and themed cocktails. This is also the perfect color scheme for throwing a sparkler send-off as the bride and groom leave the reception for great photo ops and a fun tradition. Nautical themes are always welcome in the summer, and nautical navy pairs wonderfully with red, white, or sage green accents. Pair your neutral navy wedding decorations with metallic pops on the cake, table settings, and bridesmaid accessories. 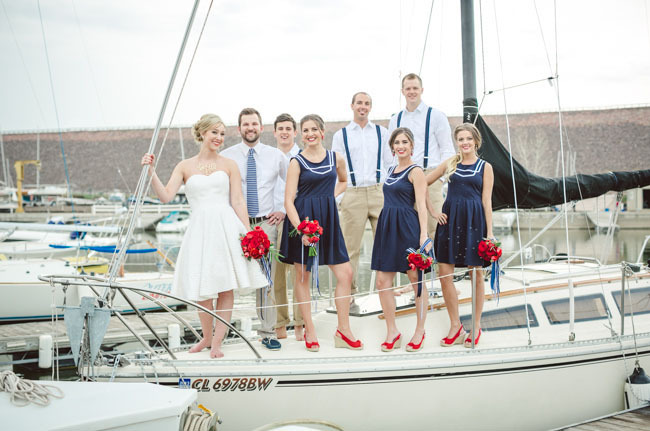 Navy bridesmaid dresses are classic and it’s a color that looks great on everyone. Finish off your nautical theme with fun props for a photo booth like an old-fashioned wooden ship steering wheel, captain hats, and an ocean background. Peach is a beautiful bright summer color that pairs perfectly with coral and teal as accent colors. Pick out peach and white Chinese lanterns and teal tea lights for wedding supplies. For a lovely beach wedding, build your own rustic wooden tables painted in a light blue for the reception and top them with peach flowers and gold table settings. Peach bridesmaid dresses matched with teal statement necklaces will make fun but simple outfits and grooms can wear a neutral khaki suit to help escape the heat of the summer sun. Use a peach and teal theme for the perfect casual summer wedding bash. Use summer fruits for color inspiration! 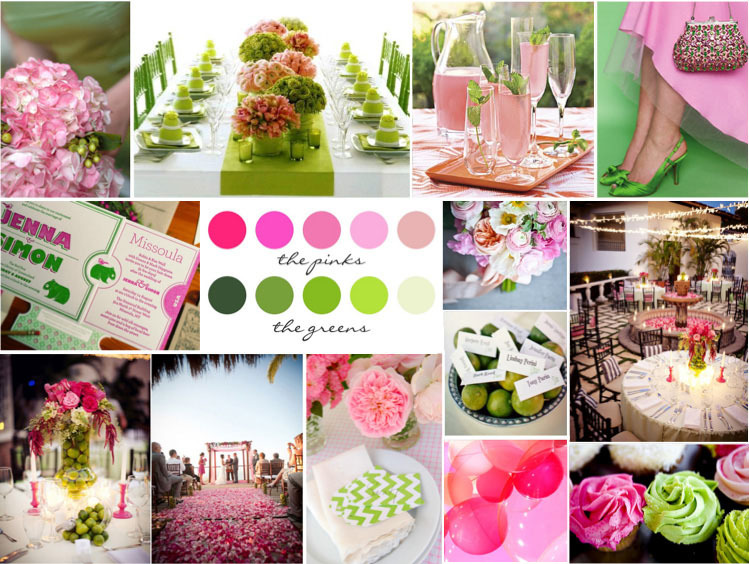 Bright lemon yellow and watermelon pink make lovely summer wedding colors for a happy feeling and bright pop. Start with a pop of these colors on simple white wedding invitations then move on to bright lemon and watermelon paper lanterns, sunflowers and fuchsia peonies, and bright yellow and pink ribbons to decorate white chairs at the wedding reception. Incorporate these colors into your wedding treats as well with pink lemonade cocktails garnished with lemon slices and freshly cut watermelon as a snack. If you want to plan your wedding in the summer months but don’t want to use flashy summer colors, neutrals can still be flattering in the warmer seasons. White is perfect for summer and provides a classic look when paired with a sophisticated gray. Start with classic gray and white wedding invitations then pick out stunning pale gray bridesmaid dresses and matching ties for the groomsmen. Decorate with white everywhere from flowers to the chairs and tablecloths, then top your wedding reception tables with gray and silver table settings. Rustic wedding accessories pair well with natural elements so make a wooden welcome sign and pair your white flowers with greenery. 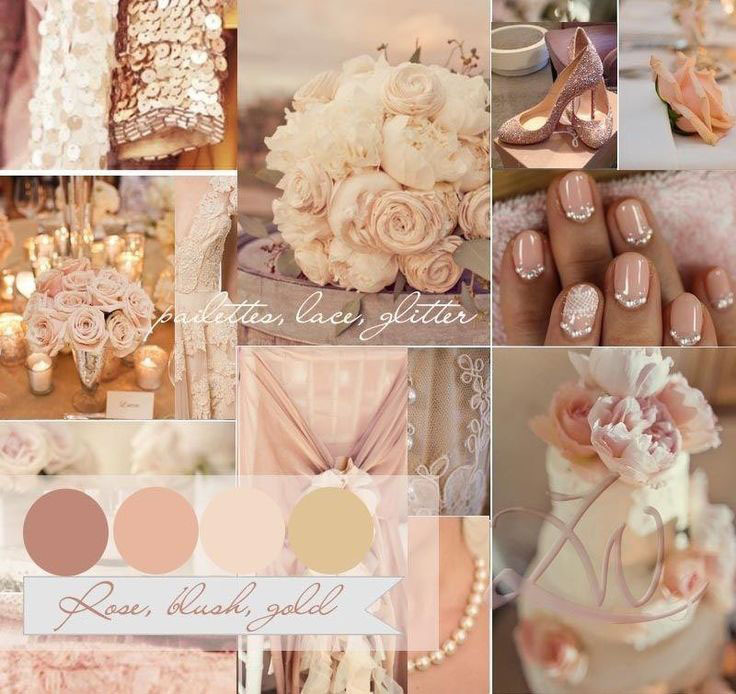 Blush and gold make the perfect glitzy combo for your sophisticated summer bash. Throw a fancy evening wedding with lots of beautiful blush pink decorations and glamorous gold accents. Send out classic white wedding invitations with gold embossing tucked into blush pink envelopes, and for a stunning personal touch, try using hand calligraphy for the addresses. Decorate with blush and white rose petals galore, gold silverware and cake topper, and blush cloth napkins on traditional white tablecloths for your reception. Top off your wedding décor with a white, blush, and gold layered cake. Considering a summer wedding? 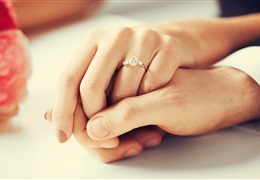 It’s the most popular season to get married for a reason! The weather permits outdoor bashes and stunning photos, most flowers are in season (which usually means they’re more affordable), and your wedding can range from casual to classy. Whether you want a low-key backyard wedding followed by a casual barbecue or want to get married on a swanky rooftop or at the country club, summer allows for weddings of all types. With kids out of school and summer months being popular for taking vacation time, your friends and family will be more likely to travel to attend your wedding. And it just doesn’t get any better than warm summer nights and the fresh food menus that summer offers. Plan your wedding reception menu around fresh fruit, summer-inspired cocktails, and the delicious comfort foods of barbecuing and grilling. Plus, the good news is summer might be popular for bright wedding color palettes, but this season is more flexible to choosing any colors you like compared to other times of the year.